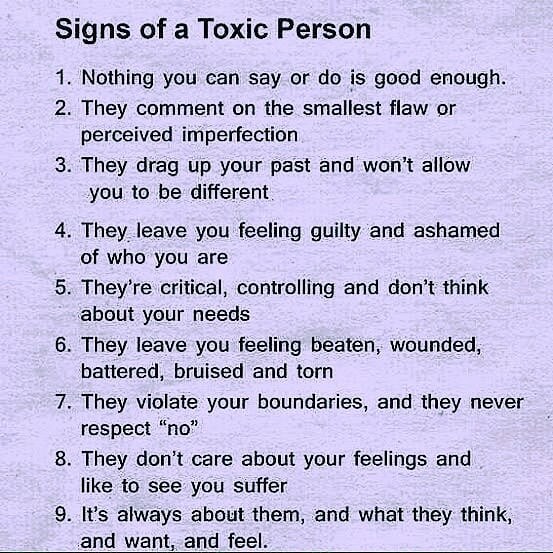 Toxic simply means poisonous or dangerous. 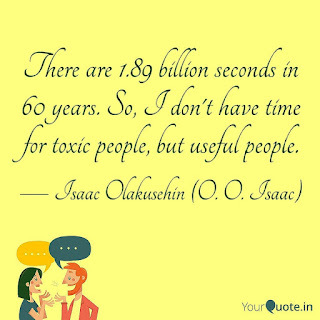 Toxic people are very dangerous people, and if they are kept around for too long you will no doubt feel repentant. Don't be loyal to the toxic people around you. I can't imagine being loyal to someone that discourages me, I dare not be loyal to someone that poisons my mind and thriving mindset. They never add to one's success in life but instead can leave you shattered, battered, scattered and tattered. 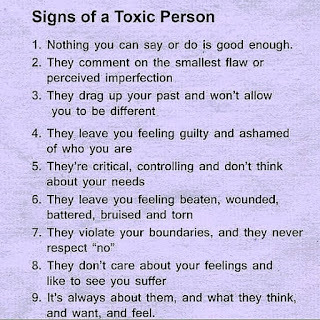 NOTE: Watch out for the "narcissistic" toxic person. They will demand your undivided attention and attempt to convince you that you need to join their group. According to them they know better than you. They’re always right; you’re wrong. And you need to do what they say, or else... This kind of toxic person will think nothing of invading your space and may try to isolate you from others you are close to, especially those that have positive mindset like you do. They venomous and will poison your good intentions. Toxic people are manipulative. They use other people to accomplish whatever their aim is. It's not about you but about them, no equality in relationship. It’s all about them. Their modus operandi is to get people to do what they want them to do. They are not caring, supportive, or interested in what’s important to you. In fact, the good things that happen to you move the attention away from them and thwart them from focusing on their own goals. Beware of people who find fault with you and make you wrong. Loyalty is foreign to them. They are also judgmental. They don't apologize. They don’t see any reason to, because things are always someone else’s fault. In many instances, although they try to orchestrate relationships to serve their own ends, they try to gain sympathy and attention by claiming “victim” status. 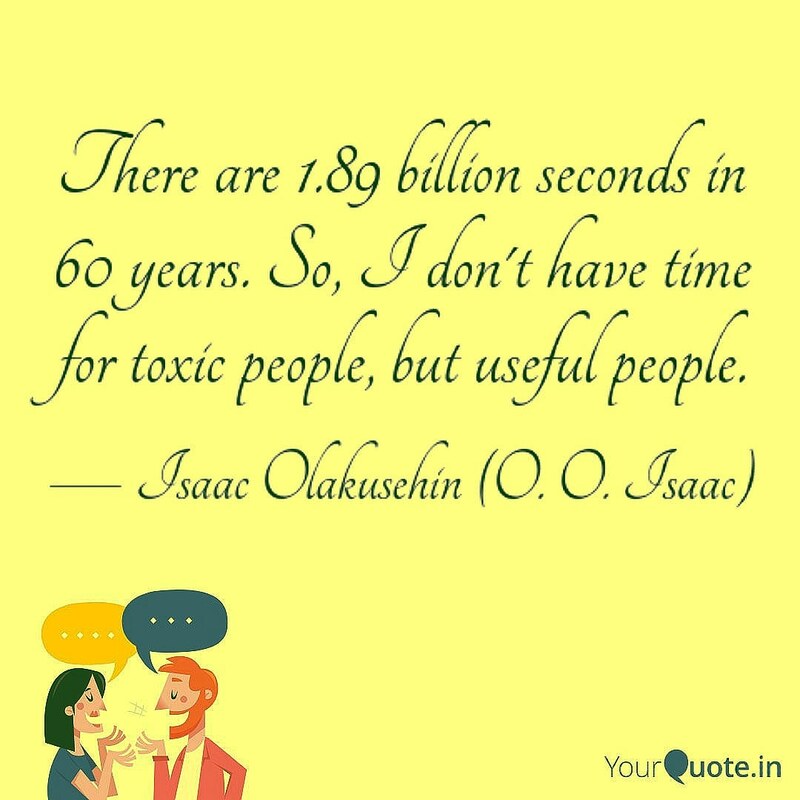 Toxic people often make you want to fix them and their problems. They want you to feel sorry for them, and responsible for what happens to them. Yet their problems are never really solved, for once you’ve helped them with one crisis, there’s inevitably another one. What they really want is your ongoing sympathy and support, and they will create one drama after another in order to get it. “Fixing” and “saving” them never works, especially since you probably care more about what happens to them than they do. They take no responsibility for their own feelings. Rather, their feelings are projected onto you. If you try to point this out to them, they will likely vehemently defend their perspective, and take no responsibility for almost anything they do. They are inconsistent. It’s hard to know who you’re with at any given time because they are often not the same person. They may change their perspective, attitude, and behavior depending on what they feel they need to accomplish or what they want to have happen. And they know how to be kind when they want something from you. They make you prove yourself to them. Toxic people make you choose them over someone else, or something they want over something you want. Often, this turns into a “divide and conquer” dynamic in which the only choice is them, even to the point of requiring you to cut off other meaningful relationships to satisfy them. They make you defend yourself and wont defend you. They focus on problems, not solutions. Toxic people are draining; encounters leave you emotionally wiped out. Time with them is about taking care of their business, which will leave you feeling frustrated and unfulfilled, if not angry. Don’t allow you to become depleted as a result of giving and giving and getting nothing in return. 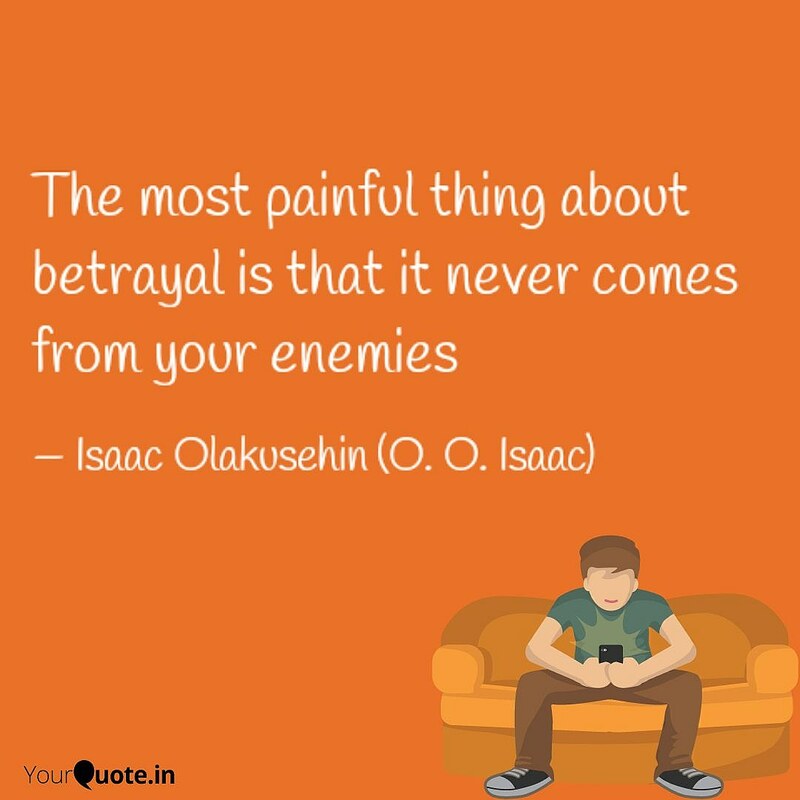 At first, you may feel for them and their plight but once you observe that every interaction is negatively charged you may want to limit your contact with them, or maybe even cut ties. Your time and energy are essential for your own life. Don’t be overly willing to give them away. 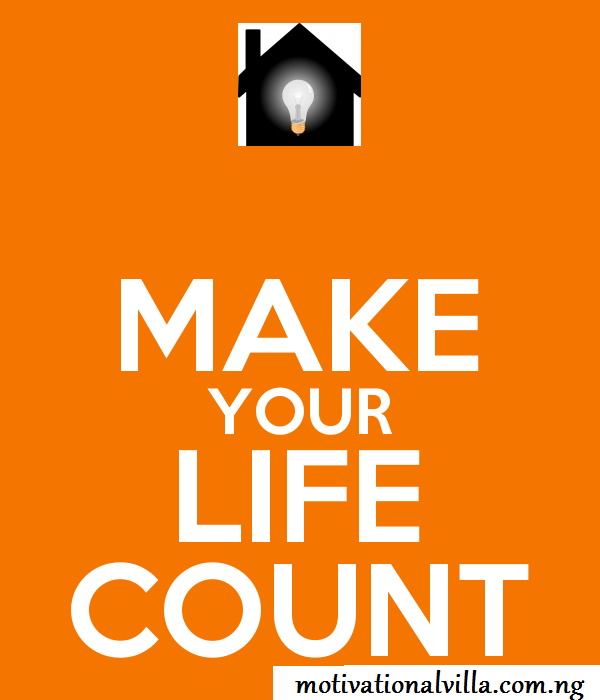 Do you know you can also get your works published on Motivational Villa?